Blacktown Hospital Regional Dialysis Centre staff and volunteers with patient Pat. 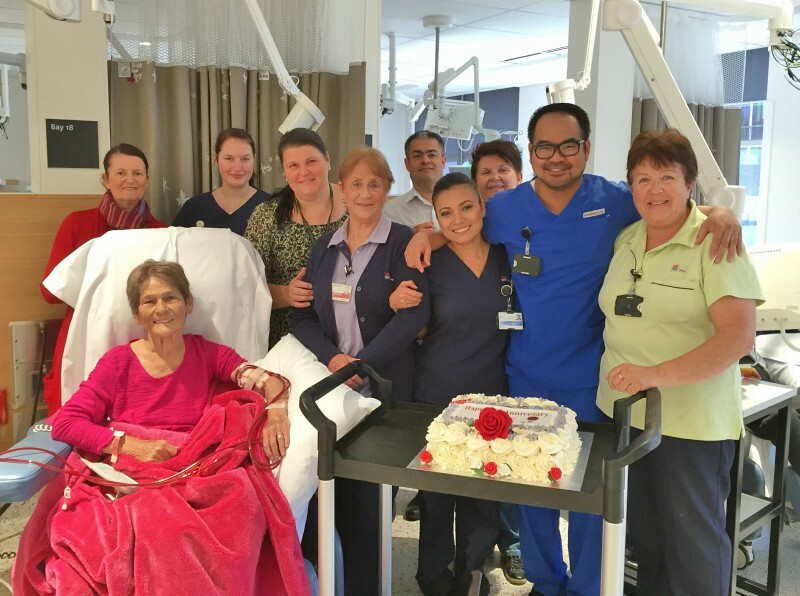 The regional dialysis centre, located at Blacktown Hospital, celebrated on Monday. May 1, marking a whole year in their new facilities on Level 2 of the administration and education building. Patients, carers and staff were treated to cake and coffee during the day – a shout out to Fresh Plus for providing hot drinks for our patients: a special treat as some are have restrictions on their food and drink. The centre has 32 staff (nurses and allied health) who currently care for 88 patients visiting three times a week, along with 350 home therapy patients who attend the centre regularly for review. Patients love the new space, especially the peaceful surroundings and Being and Belonging art displays.